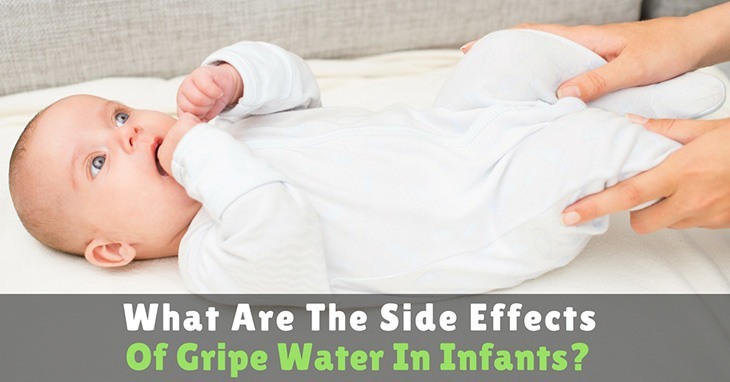 What Are The Side Effects Of Gripe Water? Is Gripe Water FDA Approved? Gripe water was formulated by a pharmacist in 1851. The original formula of this home remedy contains sugar, alcohol, and herbs like clove, cinnamon, dill, cardamom, ginger, fennel, peppermint, and yarrow. The inclusion of alcohol in the formula has prompted the ban of the use of gripe water in 1982. Today, however, there are new formulations of this home remedy that do not contain sugar or alcohol, allowing parents to find and use a safer gripe water formula to soothe their fussy child. In the United States, most gripe water products are categorized as dietary supplements, which do not require the approval of the Food and Drug Administration (FDA). However, there are also gripe water formulations that are sold over the counter as homeopathic drugs. This type of gripe water formulations is regulated by the FDA. This means that the products must have proper labeling and should bear their National Drug Code numbers on their packaging. While gripe water homeopathic drugs are not necessarily more efficient compared to the gripe water dietary supplements, their manufacturers report all cases of known side effects to the FDA. Also, homeopathic drugs are reviewed for their adverse effects, efficacy, clinical use and toxicology. Some doctors note that gripe water is safe to use for the mildly upset stomach. However, this is not the appropriate treatment for a full-blown colic. Infant colic is a condition characterized by a child’s intense crying for at least three hours a day, three days per week and at least three weeks without any known reason in an otherwise healthy infant. A baby with colic expels excessive amounts of gas and draws his or her legs towards the trunk. Also, it has been noted that the continuous use of gripe water formulations that contain sodium bicarbonate can cause alkalosis or decrease blood acidity. There are several known side effects of gripe water. The most common ones include di﻿﻿arrhe﻿﻿a, intestinal irritation, and allergic reactions. Some of the allergic reactions to gripe water can range from an upset stomach or a mild skin rash to severe allergic reactions. Severe allergic reactions often include throat swelling and breathing difficulties. If your child is prone to developing allergies, you should steer clear from using gripe water unless indicated by your child’s pediatrician. Also, you should always check the formulations and ingredients of the gripe water as it may contain some allergens. Some gripe water formulations include sodium bicarbonate. Such formulations should not be given to infants, as its potential side effect is the disruption of the stomach’s natural acidity. Imbalance in the acidity can increase the risk of infection and disrupts the stomach’s ability to absorb nutrients. There are also rare and serious side effects of gripe water. These side effects include abnormal heart rhythm, increased risk of bleeding, and heartburn. In some cases, infants also develop abnormal nervous system function, which affects their mental alertness. Health authorities encourage parents not to give their one month to six-month-old infants any other food or fluids aside from breast milk unless medically indicated. Also, it is safer to note that gripe water should not be given to babies, especially newborns. The immune system of infants is still developing and may not be able to effective fight against eventual microbes. If you are having doubts about giving this herbal remedy to soothe your fussy child, other ways may help calm your child. One alternative to the use of gripe water is to use hypoallergenic formulas. Switching formula milk may just do the trick, as this can sometimes cure colicky babies. You should consult your child’s pediatrician to help determine whether your child has formula allergies before switching. Giving your child a gentle relaxing massage may curb and soothe your child’s colicky cries. This is also a great opportunity for you to spend some quality bonding time with your child. You may also apply a little tummy pressure. Some colicky infants are relieved when pressure is applied on their tummies. To do this, you can place your child face down on your lap or a sitting position on your lap. Then, you can place your hand on your child’s tummy and gently pat or rub your child’s back with your other hand. Another way to soothe a colicky infant is to swaddle and distract your child by singing or humming a calming tune. You can wrap your child in a tight warm blanket and try rocking your child while singing to him or her. While gripe water is sold over the counter and without the need for prescriptions, parents should be cautious in giving this herbal remedy to soothe their fussy child. As parents, we would want the safest options in treating and relieving colic symptoms in our children. Thus, it is important to consult the pediatrician regarding the use of gripe water, as their side effects noted when giving gripe water to children.